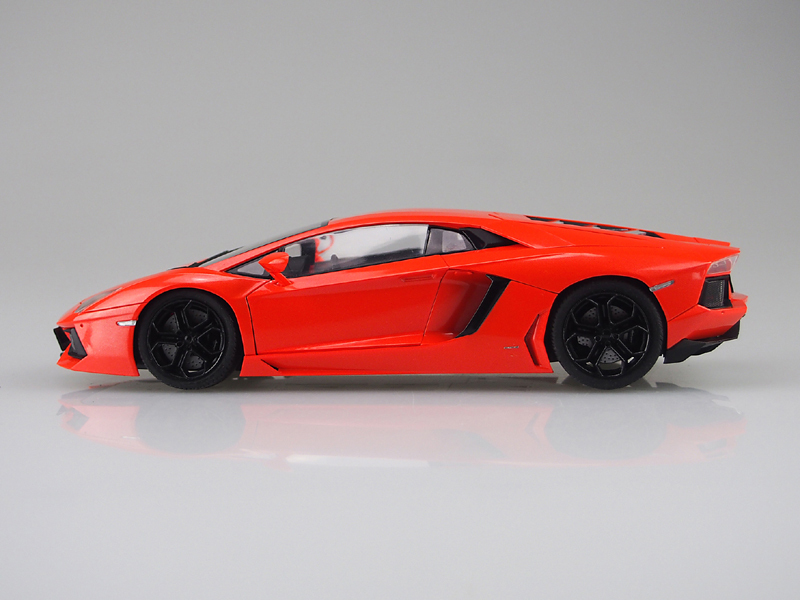 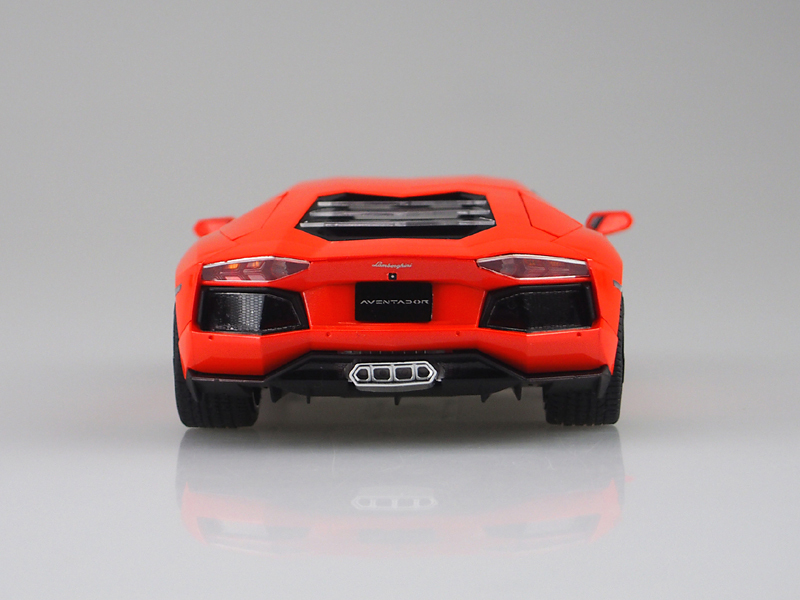 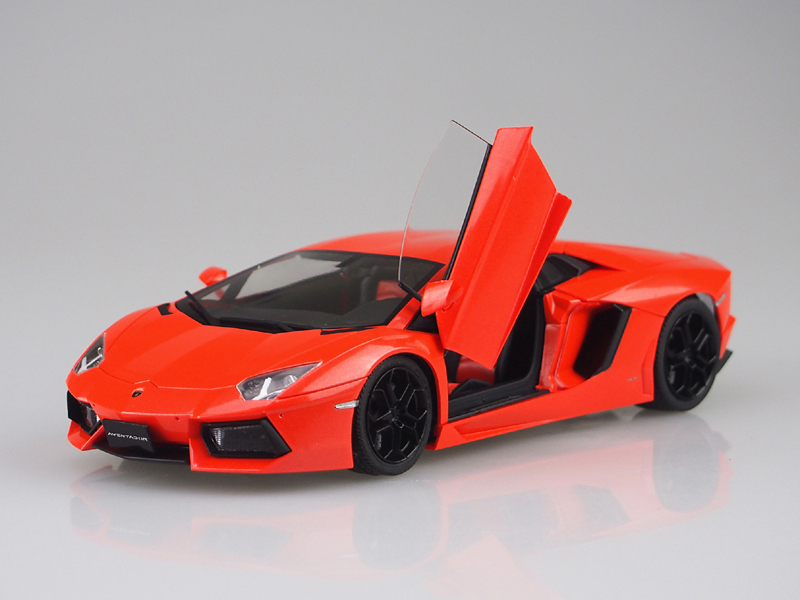 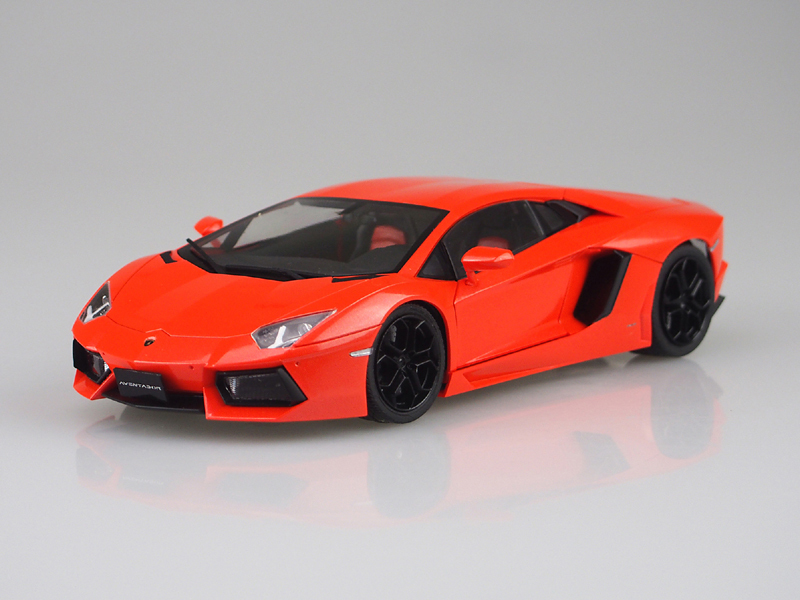 The Lamborghini Aventador, named after a fighting bull, was launched in February 2011 and designed to replace the ten-year-old Murciélago as the new flagship model. 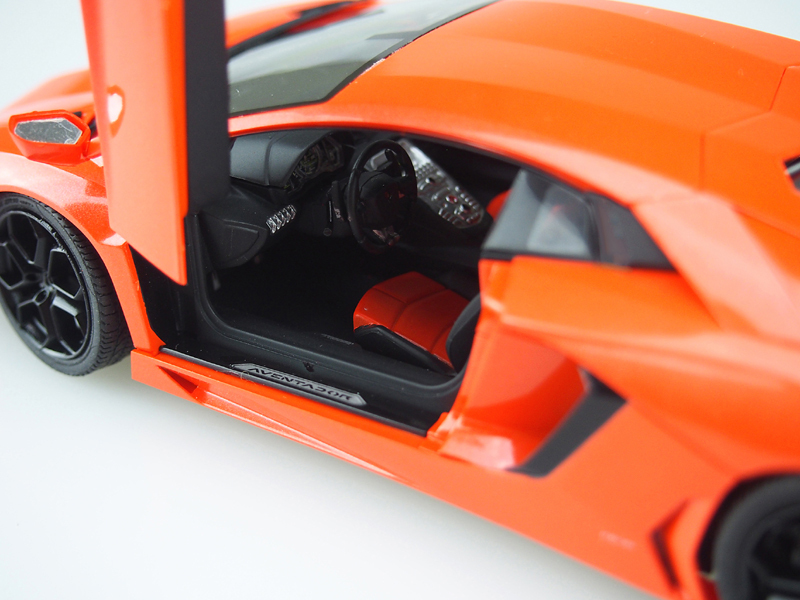 Body construction features a carbon fiber monocoque with Aluminium front and rear frames - literally the supercar of next generation. 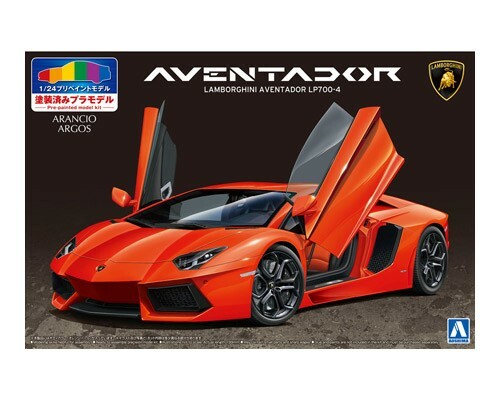 This model kit recreates the car in the first class authenticity, and is pre-painted so that the parts of the body, exterior, windshield, interior, chassis and engine are finely colored and can be built straight out from the box without any painting job. 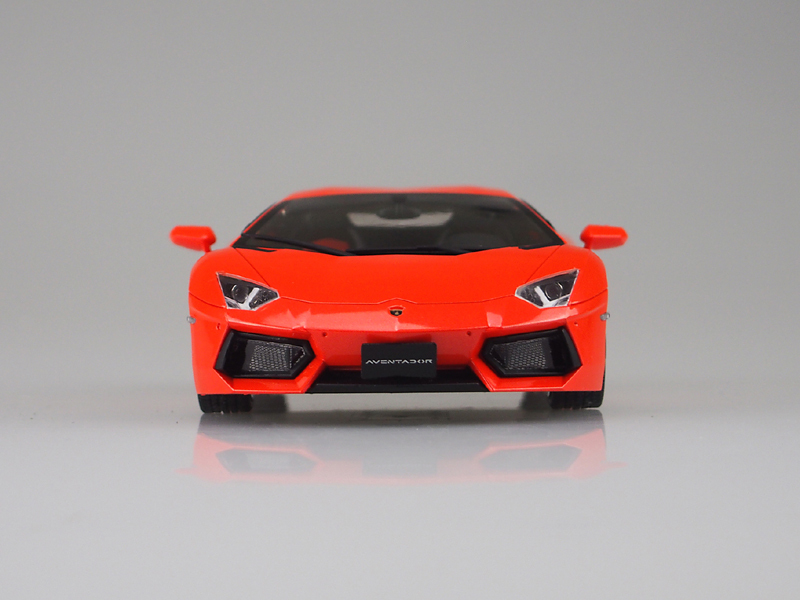 The kit of course maintains the original features such as working doors and engine hood, fully recreated V12 engine details and lends parts molded in clear color. 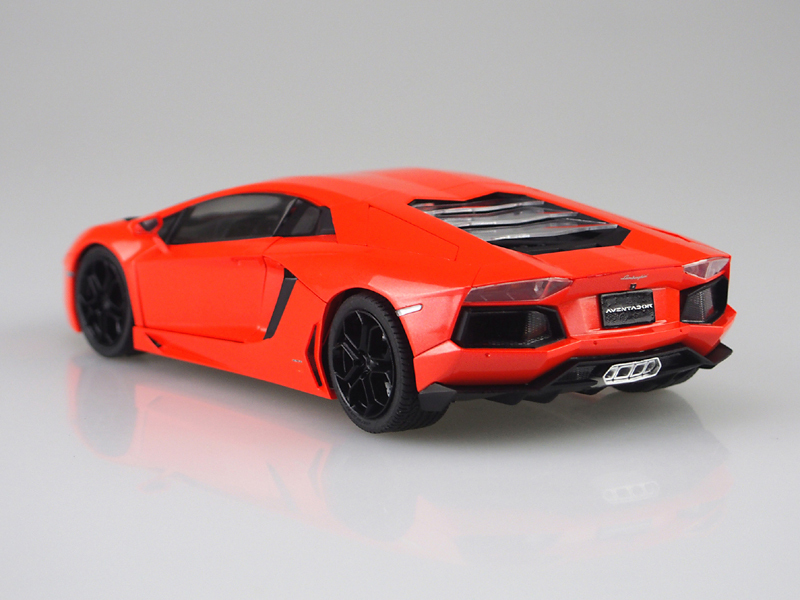 The separately available "Detail up parts set" can add even further details on this model kit if you wish to.